Two weeks ago I gave a talk at The Lead Developer called How To Succeed at Hiring Without Really Trying. This is pretty much the blog post version of my script/speaker’s notes for it! Check out the full slides or watch the video. Imagine: you’re shopping for groceries and need to buy strawberries. You have two options. The first one comes in this completely closed off box – you can’t look into it, there’s no pictures on the packaging – you have no idea how the strawberries actually look like. The second option: a transparent plastic box with some handy labels on it: you know immediately what the nutritional value is, where the strawberries are grown and you even get some a nice recipe for strawberry pie to try. And you can exactly see what strawberries you get. Which box do you choose? Now of course choosing what company to work at isn’t on the same level as choosing which strawberries to buy. But in the same way, we should be thinking about how we expose and promote our teams as places where people want to work. Not doing anything and remaining a black box that no one can look into doesn’t help at all. So how can we be those strawberries that everyone wants to choose? For the past 2 years, I’ve taken a lead within FutureLearn to do exactly this type of stuff – I’ve been responsible for trying to raise awareness about our company within the tech and design community. How to define what I do? In the past I’ve always struggled trying to explain what it exactly is that I do and finding the right phrase or word or title that encompasses it. Developer evangelism. Developer outreach. Developer relations. Developer advocacy. All these terms are used within our industry to describe these roles that are much more outward facing, but none of them felt quite right to describe what we were trying to do here. The way I see it this area typically is about creating a relationship between your company and potential customers – you have a product, be it a platform, apis, tooling – it’s something that you want developers to use. There’s a good overview from Phil Leggetter about the different goals and approaches within developer relations, but in the end all of them are about shaping that space, so you can have conversations with those outside of your company about your product. And that doesn’t quite work here for 2 reasons: 1) it’s not the product we’re trying to evangelize, it’s our team, and 2) we’re actually not just targeting developers, we’re targeting the wider product team, so also designers, UX researchers, product managers. It’s about more than just developers. So the phrase I’ve started using recently to capture this is employee evangelism. In the same way that developer evangelism is about creating that conversation between your company and the outside world, employee evangelism is about creating that conversation between your employees and the potential employees outside the company. It is about raising awareness about the team – and comes from the team directly. 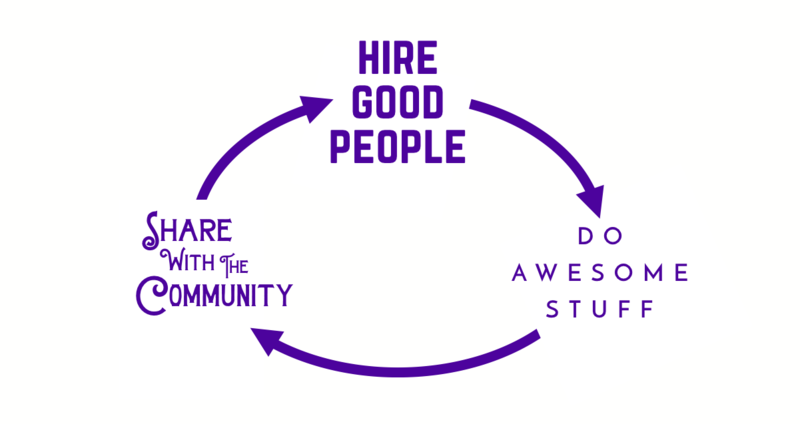 Now we have other people on the team who take care of the hiring process, and I like to think that everyone on our team does awesome stuff, so my focus tends to be on getting people to share that awesomeness with the community. I’ve always seen this as a team role: I’m not the only person in the company going out and talking at all the events, I’m not the only person writing all the blog posts. This has been very much about supporting our entire team to do all this, helping them learn the skills they need for this and helping create the type of environment where everyone feels encouraged to contribute. How to encourage your team? 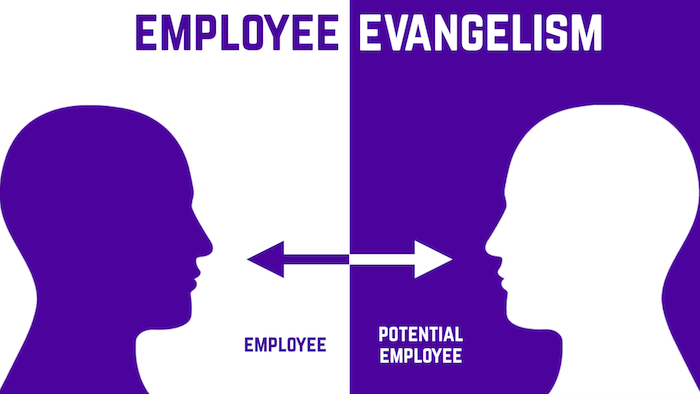 So having defined this idea of employee evangelism, what can you do to encourage and support your team to practice this? A couple months back I read Badass: Making Users Awesome from Kathy Sierra and in it she explains how the best way to get your product being used by people, is understanding that it’s not necessarily about your product, it’s about making your users awesome. If they feel they are being badass, when using your product, they’ll be more passionate and motivated to share what they can do with your product. 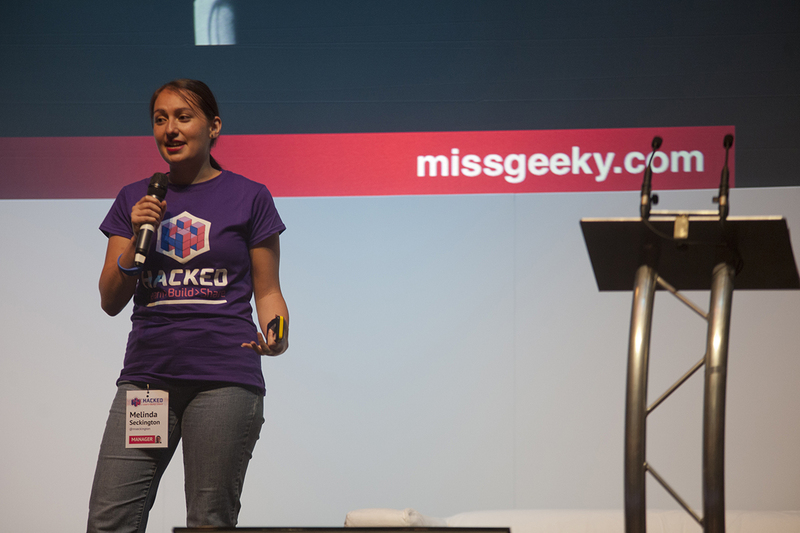 Kathy goes on to create a framework of sorts to help your users become badass. And I realised that most of what she describes in there can be adapted to how we can encourage our teams. 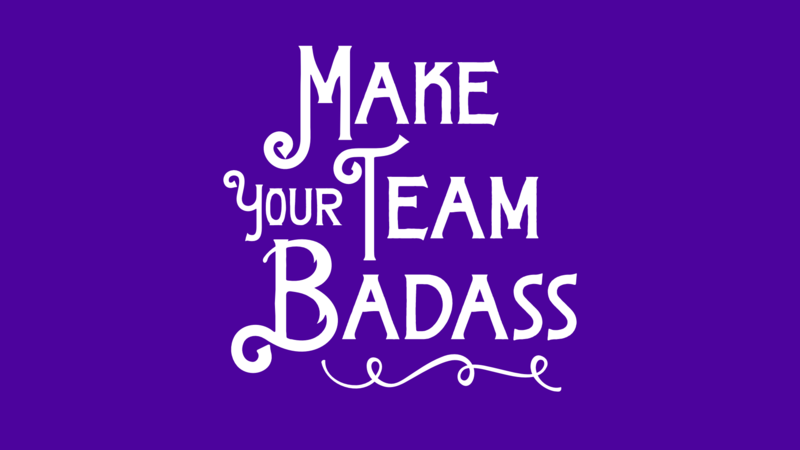 How we can make our teams badass. This is about creating that right type of environment where people feel like they can share. Start with the company culture first. Now let’s go back to our strawberry example. Remember the packaging of the transparent box? The retailer could have put anything they wanted on it – nutritional benefits, the claim that they’re the best strawberries in the world, adorable recipes. In the end though the main thing that matters: whether or not they are good and tasty strawberries. Whether or not they’re the type of strawberries a person would buy again. Whether or not they’re the type of strawberries a person would tell their friends to go buy. So: be great. The first thing about getting your team, writing or talking about your company is having something that’s worth sharing, something that’s worth getting excited about. If you want potential employees to see what a great company it is to work at, then it does need to be a great company or at least have elements of greatness within it. If there isn’t a single thing that you can think of that is great, that is worth sharing with others, then most probably your focus should be on fixing that first. The second thing is to be authentic. The stories that your team will tell need to come from them – you can’t give them a script or a brief and tell them to go and evangelise. It needs to have that human voice. Remember this is about employees starting conversations with potential employees. It’s not The Brand having those conversations, it’s actual humans. Third, be open. Be willing to share information and stories and data about your company. Not every company will be able to share everything – but get a good understanding of what things your team can talk about and share, and make sure they’re aware that they can. The second area we need to look at is giving each person a compelling reason. With this I mean look at the personal motivations for each team member. What will drive each of them to share what they do with others? I’ll give a couple examples of what I think are the most common motivations. Helping others – these are the people that share what they know, cause it will directly help someone else. They might not necessarily want to stand in the spotlight, but they know that if they do, they can make someone’s life easier. Building confidence in communication – in most of our day-to-day work we rely on communication to others . Doing a blog post or giving a talk or workshop are extreme examples on that spectrum, but becoming a better speaker or writer will help people in their job, and for some this is the main reason why they will want to get better at it. Building personal reputation – these are the people that want to stand in the spotlight and have the focus on them. A variant of this are the people that want to be experts in a specific thing – they want to show that they have mastered a specific topic. 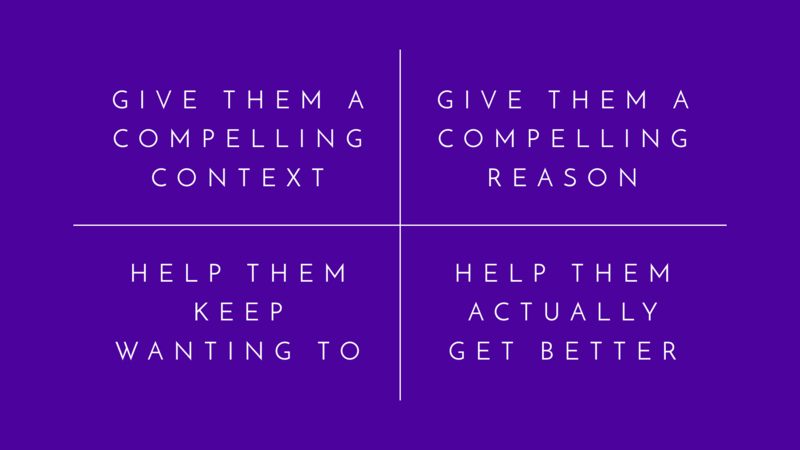 These aren’t the only motivations that people have, but I think these are the most popular 3 especially when it comes to getting your team to share what they do. Understanding which of these apply to each team member ties in with helping them actually build the skills they need and understanding what types of stories and problems they want to share. First: what makes them stop? You need to understand what each person’s fears and blockers are. I often hear things like I’m not an expert, I can’t write, nothing I do is worth sharing. They’re all valid fears and reasons why someone will stop or will never get started. But once you know what their fears and blockers are, you can help them come up with a plan to overcome them. The flip side of this is: what pulls them forward? Make them set a goal, like speak at a conference in a year’s time or write a full length blog post in 2 months time and help them break this big goal into more manageable chunks. I haven’t quite done this with my team yet, but am in the process of creating some progression paths for writing, speaking and workshops, so that people can pick and choose from these when setting their personal goals with their line managers. Finally: lead by example. Make sure your team is not only aware of the things that you do, but also how you got there. For instance, when I started this 2 years back, I hadn’t ever spoken at a conference before. Even now I still get super nervous giving talks. So I know the types of fears my team were feeling – I’ve been there – but constantly sharing with them what my journey has been and how I deal with my fears and nerves, it shows my team that this is just as attainable for them as it was for me. The final and largest area to look at is how to help your team actually get better. How do you help them improve their skills? The first part of this is perpetual exposure. This is the idea that to become better at something, to become an expert at something, you need to be exposed to high quality examples of the things that you’re trying to get better at. In this case of getting people to share things make sure your team is exposed to good examples of other people sharing. So to start: have a library. This doesn’t have to be just books, but also blog posts, articles, screencasts, videos, basically any content that is worth sharing with your team. What are good examples of content that other people have created? Besides that we’ve also got lists of recommended material to help people get started with public speaking and writing. Another thing we organise is Talks We Love – in this we watch a recorded video of a talk together that one person on the team really enjoyed or found useful, followed by a discussion on things we might want to do ourselves. Beyond highlighting external content, you also need to try to highlight existing good internal content. Our teams are already creating content: just think about good commit messages, or emails or slack messages explaining things. Most of the time it just requires someone pointing out to them ‘did you consider turning that into a blog post? Or a talk? Or a workshop?’. Be that voice that champions the work that they’re already doing. The second part of helping your team get better – is giving them the time and space for deliberate practice. Rather than throwing them in the deep end – you need to allow them to build these skills gradually. I’ll give a few examples of how we support practice with speaking and writing. They’re not the only things we do, but it’s just to give you a sense of what types of activities and support you should be thinking of. Lightning Talks: These happen every 4-6 weeks and anyone in the company can give a quick 5 minute talk about anything they want. This is a great way to get people to recognise that they have something worth talking about and it gives them the experience and confidence to do more talks. Learning Hours: In these one person on the team, teaches something they think other people might find useful. These tend to be more hands-on and workshop like. And these can be about anything – past learning hours have been about command line tools, how to run retrospectives and understanding database indexes better. Rather than learning to speak in front of a larger audience – this allows people to practice these skills in front of a smaller group of people they’re already working with. Conference Club: This is an internal meetup for everyone that wants to speak at conferences to get together and help each other with everything that goes into creating a conference talk. So coming up with talk ideas, helping write proposals, giving feedback on practice runs. It’s making sure that people aren’t doing this completely by themselves. Collaboration blog posts: We pick a specific topic, like women that inspire us or foreign words that we like, and ask for paragraph submissions. So rather than having to commit to a full length blog post, we get people started with writing small snippets. Internal Blog: Another thing we have is our internal blog, for sharing problems or stories with the wider team. Again rather than having to publish something immediately for the entire world, we basically provide a stepping stone inbetween. So give your team the time and space to practice these new skills. These won’t grow overnight and you need to create a supportive environment if you want to get everyone involved. What was the effect on our team? So what was the effect of all this on our team? Now when I started this role we barely had anyone from our product team writing blog posts or speaking at events. Here are some stats of where we got to now. Not including the people that joined our team recently, about 35% of our team have now done an external talk. That percentage rises to 60% when we take into account the lightning talks and to 78% when we add the learning hours. With blog posts we’ve got 75% of our team that have written full length blog posts, and 89% when we include the collaboration posts. And the awesome thing is, if we combine this all, this means that everyone in our team is sharing their knowledge in some way. Tying it back to the start of this post – from the last round of hiring, 50% of the interviewees explicitly mentioned having seen a talk or read a blog post. This wasn’t us asking them if they had – this is the percentage of people that brought it up themselves in their conversations with us. So the actual number might actually be higher. If there’s one thing you take away from this blog post, let it be this: Every team can do this, but more importantly I think every team should do this. While I think employee evangelism is great for your company, in the end it’s about making our community great. Embedding these type of practices within every company means that we get more people sharing what they do, and what they love. If we want to see more diverse speakers at events, if we want to see more diverse writers share their stories, we need to support everyone to learn these skills and as tech leads we are in positions to change this. So I want you all to think about this – the next time you came across something that one of your colleagues have done that could help someone else, help them to share it with the world. And maybe next year thanks to you, they will be somewhere on a stage sharing that story and trying to make the community a better place. Enjoyed this post and want more? You might like: Blogging tips: How to start writing , How I got into conference speaking and Imposter Syndrome: How we act and work together. 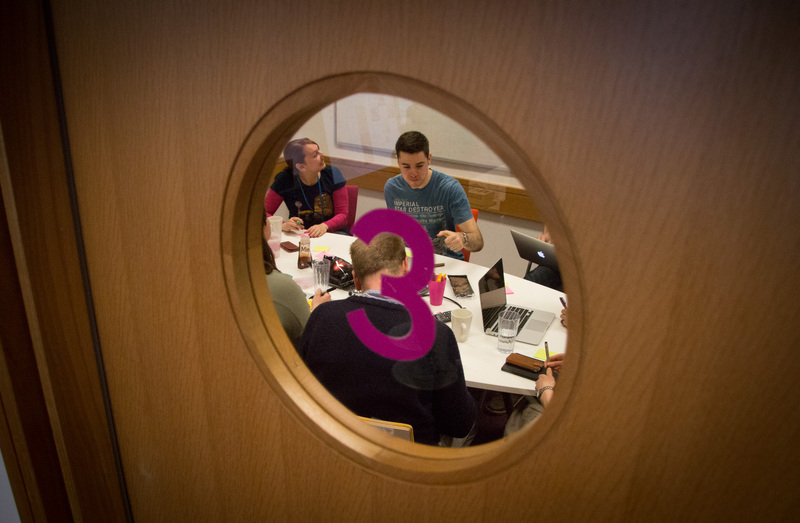 Curious about how we do more things at FutureLearn? Read our “Making FutureLearn” posts.